Students will meet at Colter Elementary School to get ready for Kindergarten in the Fall. TLC provides instruction to support pre-academic skills and social emotional learning. This program is in collaboration with Teton County School District who provide bus transportation and lunch. Applications are open until May 3, 2019. Enrollment notifications will be done by May 16th. WHAT WOULD A TYPICAL DAY IN PRACTICE K LOOK LIKE? Each child arrives to Colter Elementary by bus. If dropped off by parents, they need to arrive no later than 9am. If a child would like to have breakfast at Colter prior to Practice K, they will need to arrive by 8:30am through parent drop off. Thanks to the financial support of the 21st CCLC Program, Department of Education of Wyoming and private donations we are able to offer this program completely free of cost! 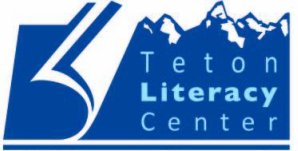 If you wish to offer a donation to Teton Literacy Center for future Practice K programs, please visit our How To Help page. To apply for this program, please scroll down to our application form below, print and complete this form. You can either scan it, and email it to Lina@tetonliteracy.org, or drop it off at Teton Literacy Center. Our location is 1715 High School Road, #260, right next to JH Community School. Our hours are Monday thru Thursday, 8am - 7pm. ​Any questions? Contact Lina at 307-733-9242 or lina@tetonliteracy.org. I HAVE SENT MY APPLICATION. WHAT HAPPENS NEXT? Once you have sent your application and received a confirmation from Lina Collado, please make sure to note our upcoming mandatory parent meeting on Thursday, June 20th between 6 and 7pm at Colter Elementary. Our application period closes on May 3, 2019. Does my child need to participate in all four days, for the entire program? In order to have all of our incoming Practice K students take full advantage of this program, and its resources, we ask for a full family commitment of attending all four days per week, for the duration of the month-long program. Any further questions, please contact Lina at 307.733.9242.